Clarence Reinhold Magney was born in 1883 in Trenton, Wisconsin, the son of Swedish immigrants. His father, Jonas Magnuson, had shortened the family name after arriving in America in 1858. Jonas was the first student to enroll at Gustavus Adolphus College in St. Peter, Minnesota, and after graduation he became a Lutheran pastor. Clarence was the first of six children born to Jonas and his wife Hilda. The family lived in various communities in the St. Croix Valley area near Stillwater, Minnesota. Magney attended his father’s alma mater, graduating in 1903. He then made his way to Boston, graduating Harvard Law School in 1908. 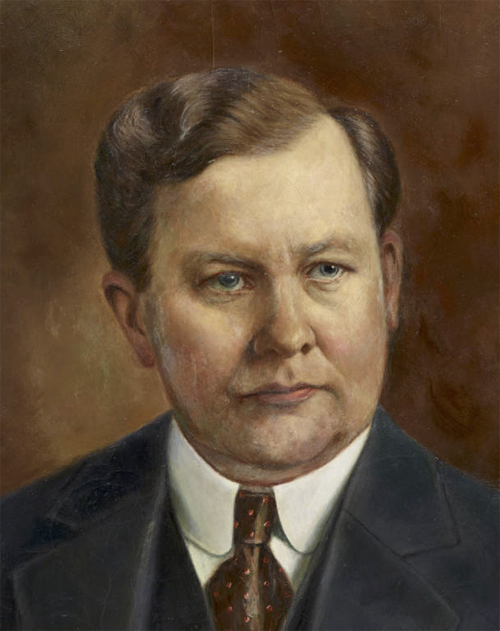 After passing the Minnesota bar he joined the Duluth law firm of Jenswold & Jenswold, whose principal partner, John Jenswold, served as a member of Duluth’s Board of Park Commissioners from 1907 to 1913. Magney married Lillian Lundgren in 1911, and over the next ten years they had three children. Duluthians elected Magney as their mayor in 1917 when he was just thirty-four years old. During his very eventful administration the United States entered the war in Europe, the Spanish influenza epidemic reached Duluth, the 1918 Cloquet Fire killed nearly five hundred people, and three young black men were lynched by a mob of Duluthians. 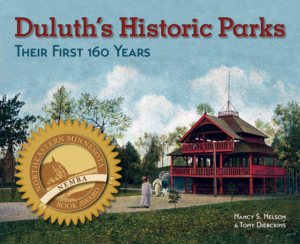 Historians wrote that while in office, Magney “gave a vigorous administration of municipal affairs throughout the critical period of the war, and showed every qualification for heading the government of one of the best cities in the northwest.” He also expanded Duluth’s park system, acquiring the land that became Magney, Memorial, Upper Chester, and Enger Parks, a total of 1,433 acres—the most park acreage acquired during any period of Duluth’s growth. He also contributed to the establishment of Jay Cooke State Park. Despite his success, Magney did not complete his term in office, resigning as mayor on September 15, 1920, to run for district court judge. He won the election less than two months after he left city hall, and he remained a district judge until 1943 when he began his tenure as an associate justice of the Minnesota Supreme Court. He retired January 11, 1953—his seventieth birthday—and was immediately appointed a Commissioner of the Supreme Court, a title he held until his death on May 14, 1962. [Magney] had a good sense of humor and enjoyed a good joke, even if it was on himself, and many a time the corridor in the Court House rang with his hearty laughter. As a judge, Magney maintained his love of the outdoors. He was particularly enamored with Lake Superior’s North Shore—he had a home at the mouth of the Caribou River—and was instrumental in acquiring lakeshore property for parks, often purchasing the land himself and giving it to the state. In retirement Magney continued this “hobby” of acquiring park land. His work resulted in the establishment of a dozen state parks along the North Shore, which in 1962 made up twenty thousand acres or one-sixth of the state’s entire park system. He also helped establish Grand Portage National Monument in the 1950s. In 1958 the Minnesota Junior Chamber of Commerce named Magney among the top one hundred living Minnesotans. In 1963 land along the Brule River north of Grand Marais was named Judge C. R. Magney State Park in his honor.